Burrrn is a little tool for creating audio CDs with CD-Text from various audio files. 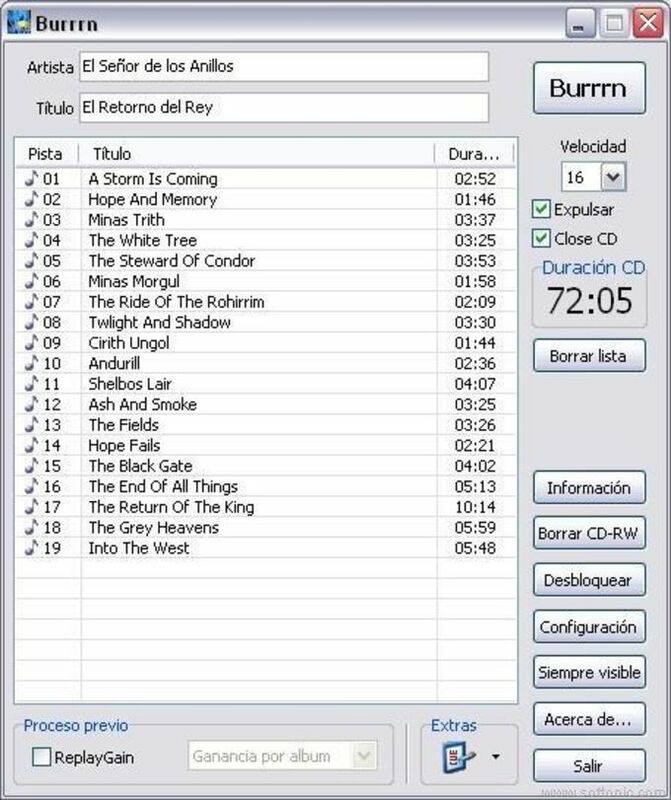 Burrrn can read all types of tags from all these formats (including ape tags in mp3). Burrrn stopped working this is what happens!!! HELP. Initializing SPTI ... failed! ERROR: Cannot open SCSI device 'SPTILOCK:2,1,0': Transport name: ASPI. Transport descr. : Generic transport independent SCSI. Open via UNIX device: not supported. Transport descr. : Generic SCSI for Windows NT/2000/XP. ERROR: Please use option '--device bus,id,lun', e.g. --device 0,6,0. ERROR: Cannot setup device SPTILOCK:2,1,0. What do you think about Burrrn? Do you recommend it? Why?